Two years ago I gushed over how much I love todoist.com. 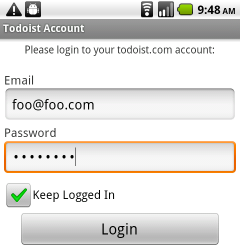 I still use Todoist every day, for both work and personal tasks. It’s an amazingly simple, clean, user-friendly website that has kept me mentally organized for several years. 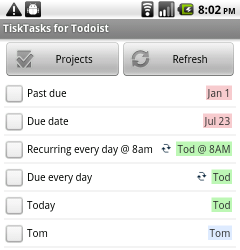 Yesterday, I released my second Android app, TiskTasks for Todoist. TiskTasks attempts to mimic the beautiful simplicity of the todoist.com website in a touch-friendly format. This is my first paid app ($0.99), and I’m pretty happy with how it’s turned out. If you’re a Todoist user, please consider TiskTasks. 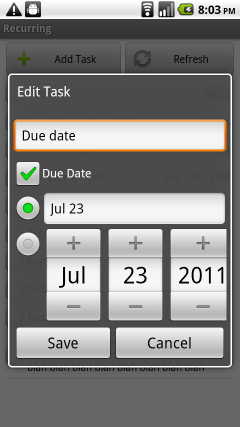 TiskTasks is available on the Android Market and via the Amazon Android Appstore. Just bought this app – and all I see when I start it up is two buttons – “Projects” and “Refresh”. Nothing at all like the screen shown above. (My Android phone is the HTC Incredible, if that matters.) 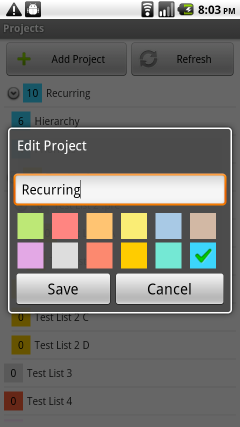 And when I click on “Projects”, all I see is a list of projects, and two buttons – “Add Project” and “Refresh”. Hi John! The first screen that has the “Projects” and “Refresh” buttons should list your “Start Page Query”. You can set this on the todoist.com website. If there are no tasks that match your query (for example, Today and Overdue), nothing may be displayed. Can you add projects on the Projects screen? I’m having the same issue. 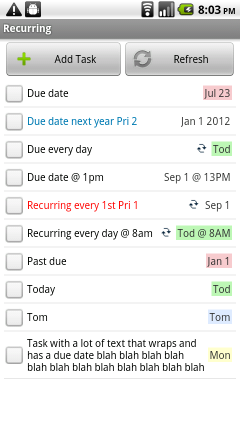 How can I swithc the view to see the task list by due date, for example? It doesn’t look at all on my android like the views above. 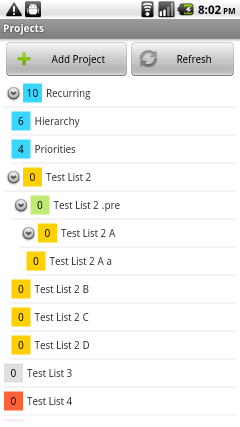 All I can do is see the tasks by project. Very disappointed in this purchase at this point!